Following an Arts Council of England requirement for a competitive process, the RSC has appointed Ian Ritchie Architects to lead a multi-disciplinary team to transform the Courtyard Theatre and The Other Place through to completion, opening in 2016 to coincide with the 400th anniversary of Shakespeare’s death. WSP will undertake most of the engineering, with Gillieron Scott the acoustic design, G&T costs and EQ2L the lighting design. BAM are the appointed contractor. The project is being made possible thanks to the support of private and public funders, including The Gatsby Charitable Foundation and The Backstage Trust, a Lottery grant from Arts Council England and a new collaboration with the University of Birmingham, Founding Partner of The Other Place. Originally built in 1973, The Other Place was home to the RSC’s developmental and new work, housing many landmark productions. 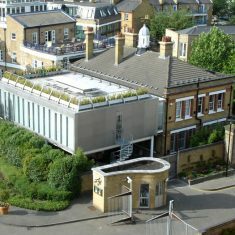 The theatre closed in 2006 to make way for the Ian Ritchie Architects’ designed and award winning temporary Courtyard Theatre – 2006-2014 – where the RSC performed, among many wonderful productions, the ‘Complete Works’ cycle under the direction of Michael Boyd during the transformation of the Royal Shakespeare Theatre. 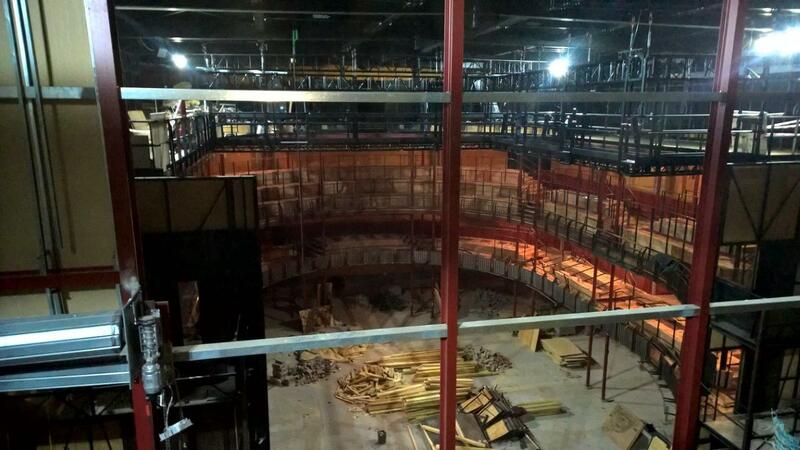 The new Other Place will include a 200-seat flexible studio theatre, built within the external steel structure of The Courtyard Theatre, two new rehearsal rooms, and a new home for the RSC’s 30,000 piece Costume Store, giving people access for the first time via theatre tours.